For over 40 years Mr Shifter have been providing professional, reliable removals services to all of its domestic and commercial customers. When it comes to selecting a vehicle for your removals needs, our company takes many aspects into consideration. Some of these aspects are, the removals size, the street access, driveway height etc. All of these aspects help us make the right decisions for your removal needs. With this in mind, For the office removals we are detailing today; the vehicle selected for this move was a 3.5 Tonne Luton fitted with a neumatic tail-lift. The reason for this choice was down to several aspects. The first is that with moving office furniture, the size and condition of it can present our team with a safety consideration when handling it, the use of the tail-lift helps to reduce the amount of manual handling needed to be carried out by the team and thus reduces the risk of any injury occurring during the move. The next aspect we considered was that with the road access being so narrow using a larger removals truck to carryout the removal in one trip would either cause massive disruptions to the road users on the day, Or massive delays to our removals team on the day, where they would need to be a constant state of setting and resetting the truck ramps to allow vehicles to pass. Though the load was more that the current capacity of the 3.5 Tonne Luton, the office was only moving within the high street itself which made it very easy for us to perform the removal in several trips. Lastly with the distance that the furniture and goods had to be transported from the office itself to where the vehicle could be reasonably parked, our team was instructed to bring sack barrows with them on the day. This would be mean that once any furniture or goods were removed from the building they could be loaded onto the sack barrow and walked to the Luton by one man, leaving the rest of the team time to remove more goods from the collection site. 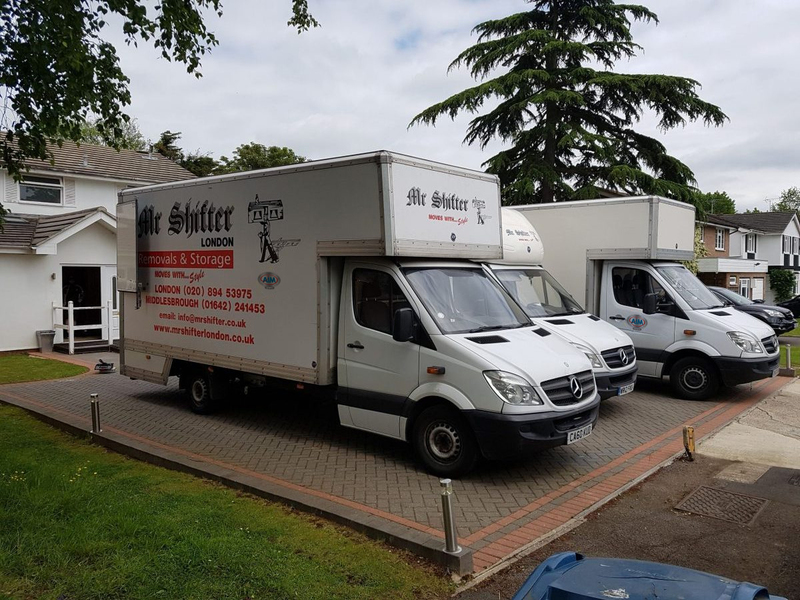 Remember, If you are looking a friendly, professional, safe removals firm to carry out any of their removals needs; then your best choice, your only choice, should be Mr Shifter Removals and Storage.